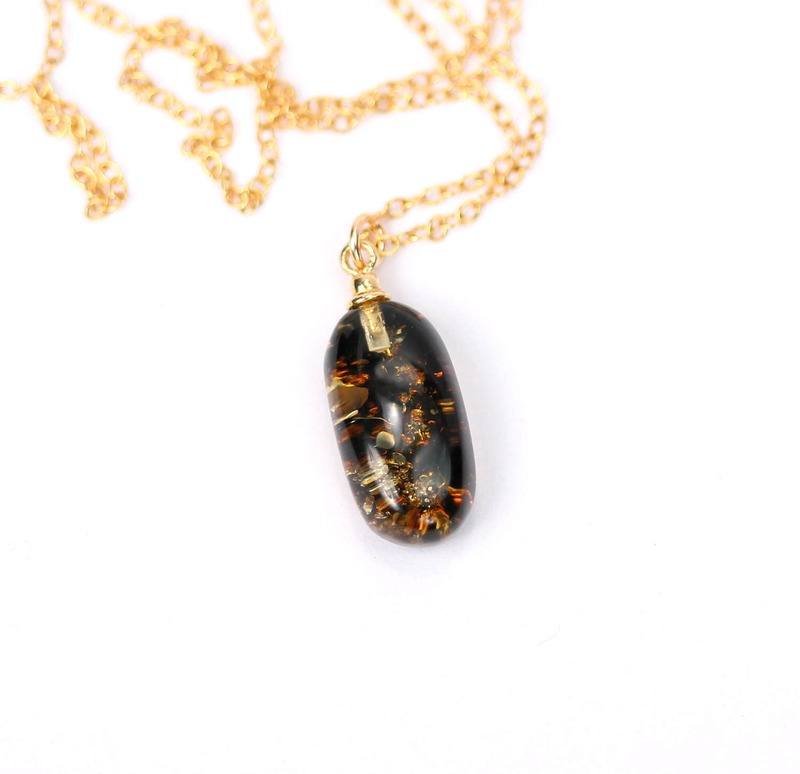 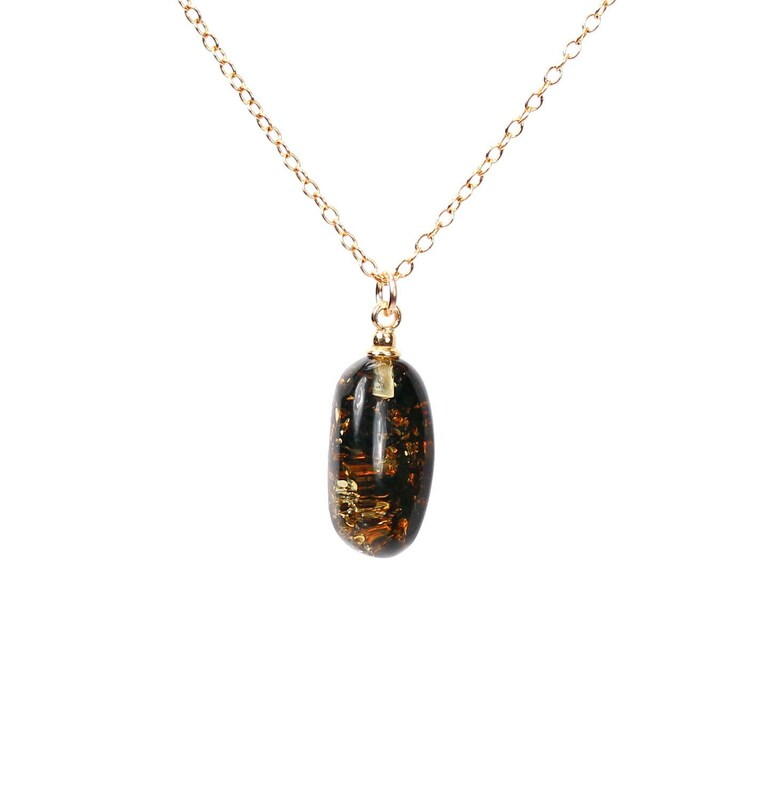 A beautiful piece of genuine baltic amber hanging peacefully from a 16 inch 14k gold vermeil chain. 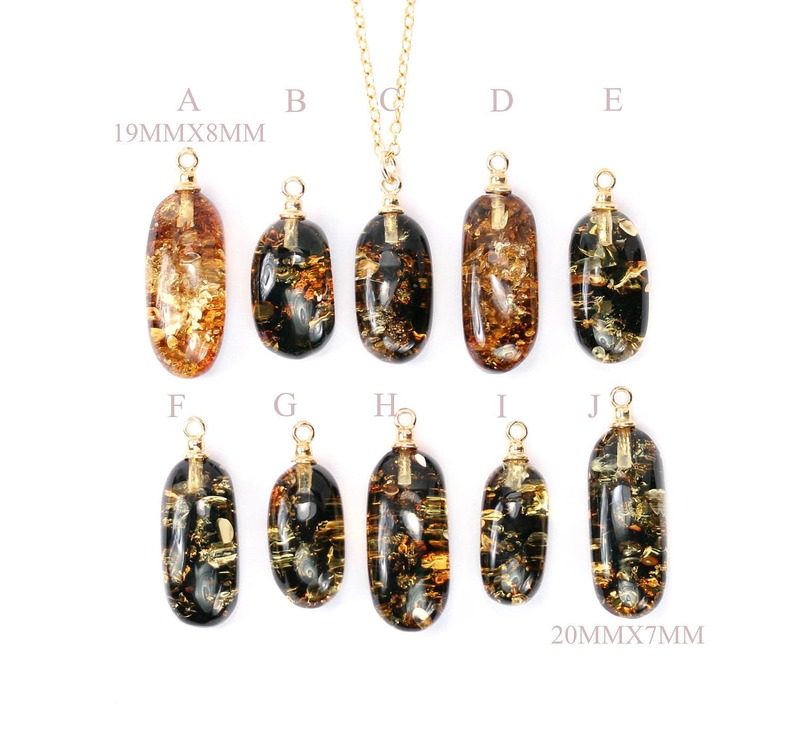 Please feel free to select a different length chain if you prefer and your favorite amber as shown in the fourth photo. 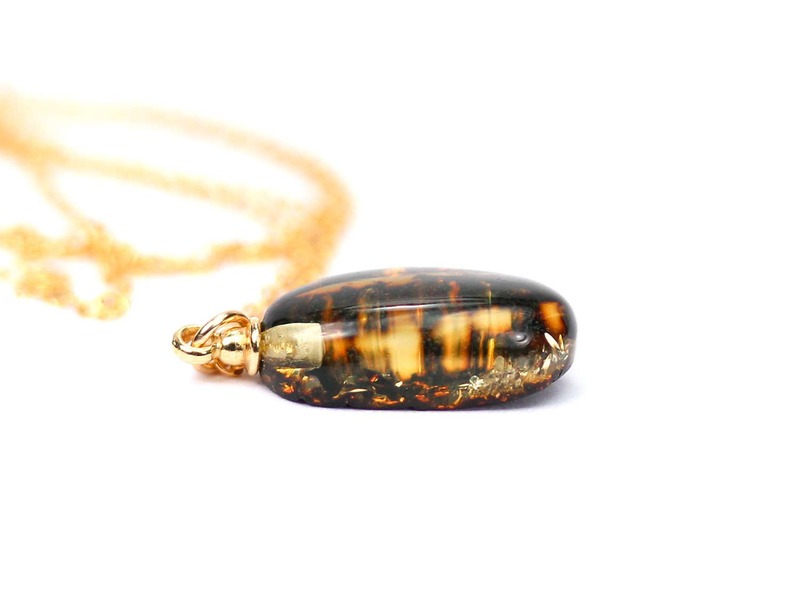 The front of these beauties are polished and the back is raw.